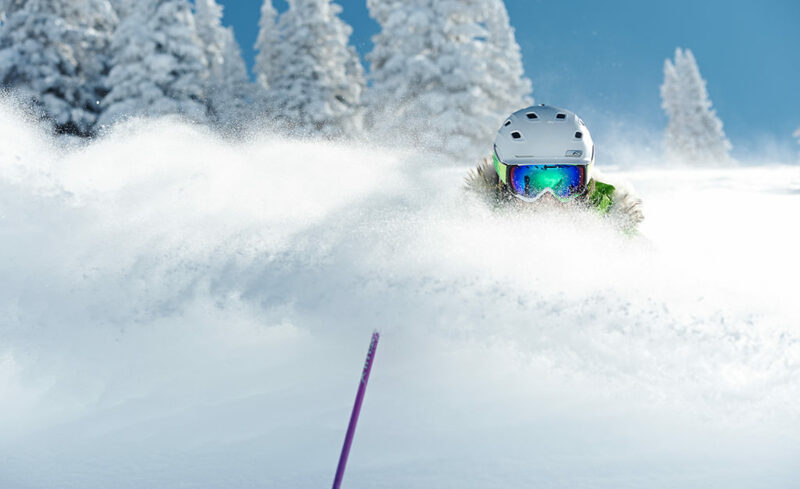 So you’ve been skiing a while, you’re doing pretty darn well, but you want more! Maybe you need to keep up with a friend, spouse or your 8 year old child. Maybe you just want to ski tougher terrain, get off the bunny slope, jump a cliff. Whatever your motivation, here are a few tips to help you get there.But first, consider a lesson. Not kidding. Ask any instructor when their last lesson was and I’ll bet my lunch they got pointers within the last week. We’re ALL always learning, and a few tips to work on make a HUGE difference. If nothing else, an instructor can take you in those short lift lines and you’ll get more mileage out of that day, increasing your productivity in your lesson. Make sure your boots are snug for good performance. Take your time and take that first run to loosen up. Twist your skis and skid a few turns. On a bit of a flat let them run straight and tip them on one set of edges then the other. Try hopping while sliding a few times to get yourself centered over your skis. 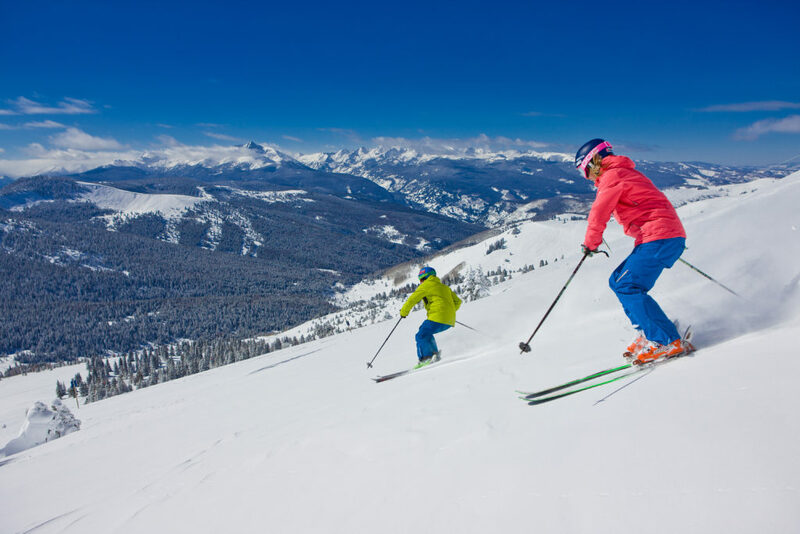 At any level of skiing you can take a first run making a variety of turn shapes, long and big arcs or quick and short. This will get you balanced and more ready to ski your best. Balance and stance are king! Imagine someone throwing a big, heavy medicine ball at you. The stance that would prepare you best for catching this safely (aside from running away) is the stance you need, to be quick on your skis. Put your feet hip width apart, flex your ankles and knees, have your hands in position ready to catch that ball, eyes up and looking ahead. A ready position is the same for the skier making “pizza” turns on Gopher Hill as it is for the cliff jumper out on Rasputin’s Revenge! We need to flex and extend our legs to stay loose to absorb the terrain and not be thrown by those bumps and dips. This helps us stay over our feet, stay agile and make adjustments as needed. We need this skill also in order to initiate and finish our turns. A common weakness is to be stiff and straight, or to flex from the wrong place. It is easy to get frustrated thinking you ARE doing this, but if you get someone to video you, you might find you are flexing a lot less than you thought, or that you are only bending at the waist. Collapsing at the waist will move your weight back behind your feet, making it very hard to move your feet in any direction or to soak up those nasty bumps. Work at flexing at your ankles and knees, keeping pressure on that front cuff of your boot as if your gold Master Card was wedged between your shin and the boot. If you lean back and leave a gap, bye, bye après ski shopping spree. A little more speed and a little positive attitude are handy tools. If you face downhill and charge that run, you will be in better position to grip with your edges and to stay agile and ready. This is a sport where the rich get richer, in the sense that success brings confidence, which absolutely impacts how you stand on your skis, and brings more success. A defensive stance, leaning backward and turning your upper body uphill, where the ground seems closer, actually weakens your grip on the hill and requires much bigger movements to get from one turn to the next. Try to keep your upper body quiet and facing downhill as though you were wearing a race bib that you need to keep visible to the make- believe judges at the bottom of the hill. This will keep your focus on what’s next and will allow your feet and skis to twist underneath you. Your upper body being in that neutral, constant position helps your lower body, unwind into the next turn easier. Rustling up some more assertive attitude could be easier said than done at first, so just try to keep your body’s physical attitude forward and keep your eyes on a focus point directly downhill to start. That will make a BIG difference. This is actually an acid test for achieving all of the above. While our turns start from the bottom of our feet and work their way up, an easy fix for a lot of stance issues is right in your hands. While you are looking up and ahead you should be able to see your hands in your peripheral vision out front and below. If you imagine carrying your lunch tray in front of you, or hands on the handlebars of your bike, your hands will be in the right spot and will enhance your stance. If your hands drop, as though in your pockets or behind you, your stance will move aft and move you into that defensive position and the dominoes begin to fall. On an icy surface if you punch downhill with your downhill fist, you will cause yourself to stand hard on that downhill ski and grip the slippery hard surface. No sleight of hand here. (Vince Lombardi must have been a skier.) Before you start your run, take a look down the trail, look for the undulations, the snow conditions, traffic and plan out your run. Picture your best last turns. If you lose your place and things don’t feel right, that’s ok. Happens to all of us skiers. Stop, adjust your plan and start again when you’re ready. Continuing when you’re out of position will just make for more frustrating turns. Practice your best turns, not your less-than-best. Lastly, pick the most important cue for yourself, (this also is where an instructor can be key), focus on that one only and keep it simple. Think of your favorite song, relax and enjoy yourself. That alone will improve your skiing. 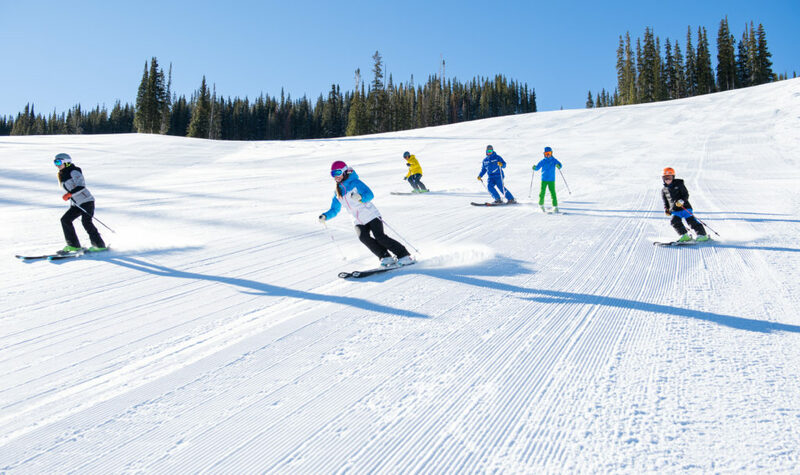 You’re already a skier, you’re outside in winter, exercising and challenging yourself, wind in your face, snowy mountains, fun friends and family on an adventure. Just wait ‘til you break through to that next level. 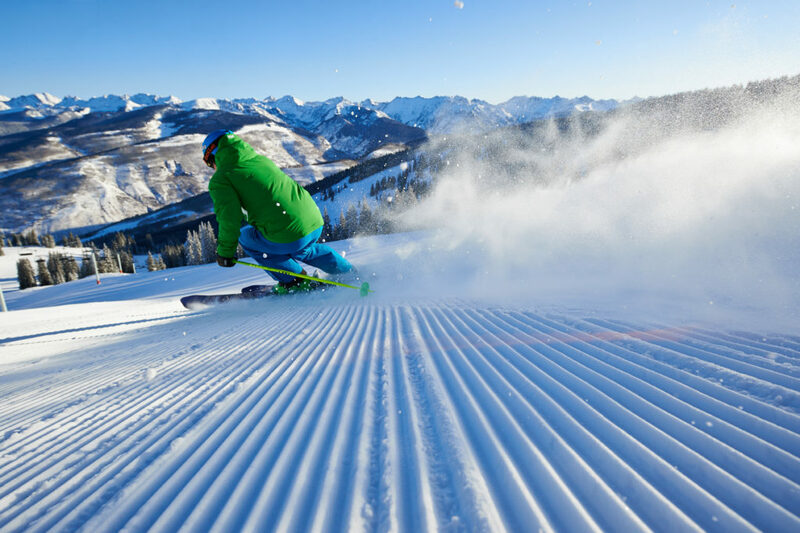 Ahh… Skiing, life IS GOOD!